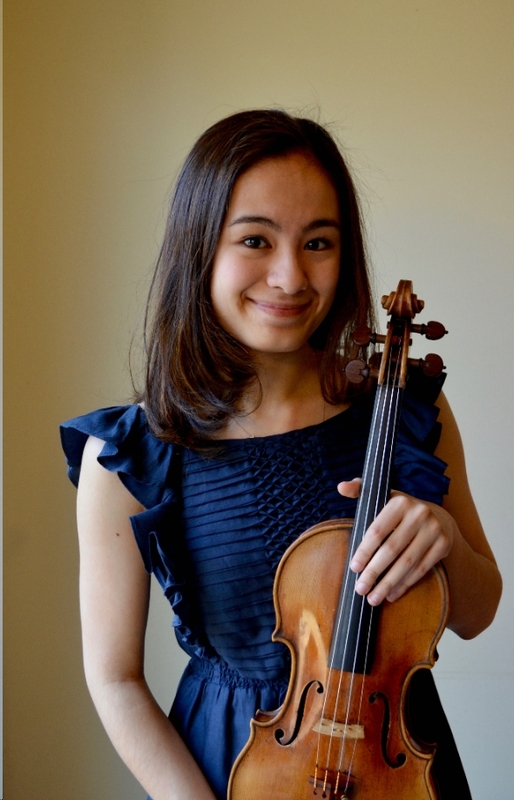 Violinist Julia Angelov, a senior at National Cathedral School, is a student of Aaron Rosand and Olga Khroulevitch. She has been a fellow at the National Symphony Orchestra (NSO) Youth Fellowship Program at the John F. Kennedy since 2013; there she is mentored by Nurit Bar-Josef, NSO Concertmaster, and is the Milka Violin Scholar by the Markow-Totevy Foundation. Angelov has won numerous competitions, including the Music Teachers National Association’s (MTNA) National Strings Competition, the Friday Morning Music Club (FMMC) Gustave N. Johansen Jr. Strings Competition, and the Washington Performing Arts’ Joseph and Goldie Feder Memorial String Competition.